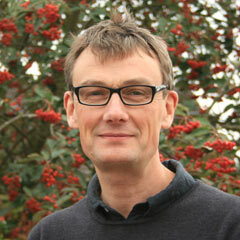 Nick Steel is Clinical Senior Lecturer in Primary Care at Norwich Medical School at the University of East Anglia, and Honorary Consultant in Public Health at NHS Norfolk. After graduating from medical school in 1988, he worked in hospitals and general practice in the UK, Australia and New Zealand. He became interested in research as a principal in general practice in Norwich, and then trained in public health and health policy at Norfolk Primary Care Trust, the University of Cambridge, and RAND Health in California, USA. His research interests are in health services and improving the quality of health care. Current research projects involve assessing the applicability of NICE guidelines to primary care, managing referrals in general practice, measuring health care quality in the English Longitudinal Study of Ageing, assessing access to hip and knee surgery using national surveys in England and the USA, and evaluating local and national effects of UK quality improvement initiatives, including the UK Quality and Outcomes Framework for general practices. He teaches medical students and doctors in training at UEA, and doctors and specialists on the NHS regional public health training programme. He is a member of the NICE Primary Care Quality and Outcomes Framework Indicator Advisory Committee and NIHR Health Delivery Research Panel and Research for Patient Benefit Committee.